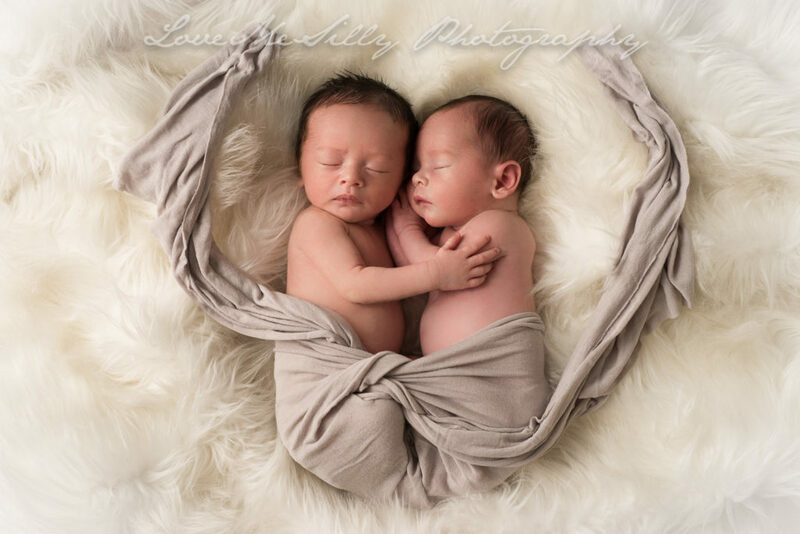 Our studio in Granada Hills just lit up with the beautiful presence of newborn fraternal twins Zach and Liam. All the way from Woodland Hills, they visited us for a Diamond Session. What a lucky mom, she wished for two boys and she got them. Zach and Liam, a pair of “Tiny Heavenly Hunks”. What a gorgeous pair! 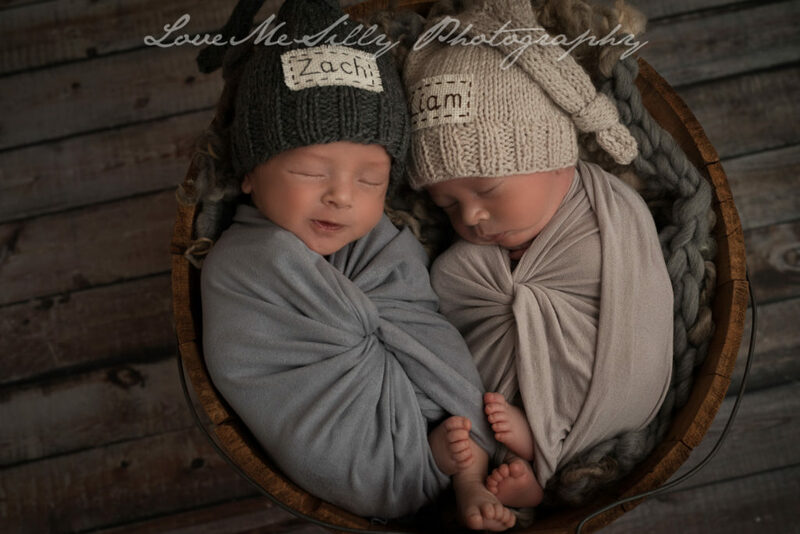 They may be twins but they are not identical and they definitely have different personalities, while Liam was sleeping thought out all the session, Zach was making sure we were doing our job right and supervised everything we did. It took quite a bit of milk and love to get him back to sleep for his final shoots. 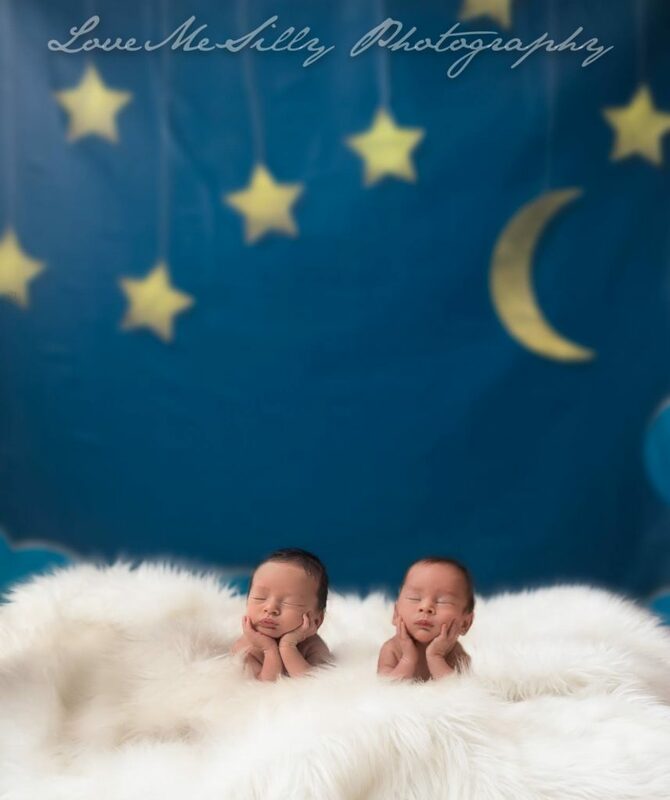 Mommy wanted the Cloud, Moon and Stars Theme to match their nursery, lucky we had it but we were able to get the most amazing shoot of all. Zach and Liam were so cooperative, we were able to get the Froggy Shoot, OF BOTH!!!! Trust us when we say that this Los Angeles Baby Photographer is beyond excited. We can’t wait to see them back again for their Infant Session… Can’t wait to see them all grown up!